Today's teens are being shaped by the pressures and disappointments of the world. But Max Lucado encourages them to take a close look at what can shape their hearts and their futures from the inside out-God's grace. As Max explains, "God's grace has a drenching about it. A wildness about it. A whitewater, riptide, turn-you-upside-downness about it. Grace comes after you." 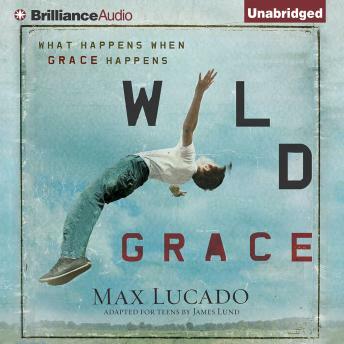 Wild Grace gives teens an understanding of how grace can change their lives in powerful ways, even when those lives are messed up, off track, or in trouble. Each chapter describes another miracle that happens when we allow God's grace to work on us and through us: "Grace is God's decision to change everything. Good-bye, earthly labels. Stupid. Unpopular. Ugly. Failure. No longer. You aren't who they say you are. You are who He says you are. Spiritually alive. Connected to God. Amazing." Teens will be convinced that God knew what He was doing when He made them and His grace is always there, ready to work wonders that are bigger than anything this world has to offer.